In the late 2007, Dumont was cast on a nationally syndicated television program called Teen Kids News. The show airs on networks around the globe, including major markets like New York, Los Angeles and Boston. Co-produced and created by Albert T. Primo, creator of the Eyewitness News format, and Emmy-winning producer Alan Weiss, Dumont was chosen among candidates as a Boston-based correspondent and later as one of the show’s lead anchors. 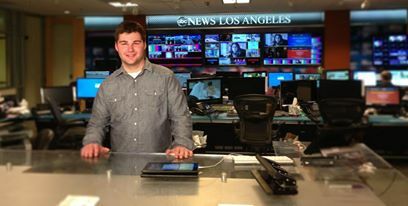 It was with Teen Kids News that Dumont also won his first Emmy in April 2013. In total, his TKN work received four Emmy nominations between 2011 and 2013 from the New York chapter of the National Academy of Television Arts and Sciences. (View Emmy-nominated segments here.) During his time with TKN, he was also subcontracted by the New York Yankees-owned YES Network and Ford Motor Company for separate productions. 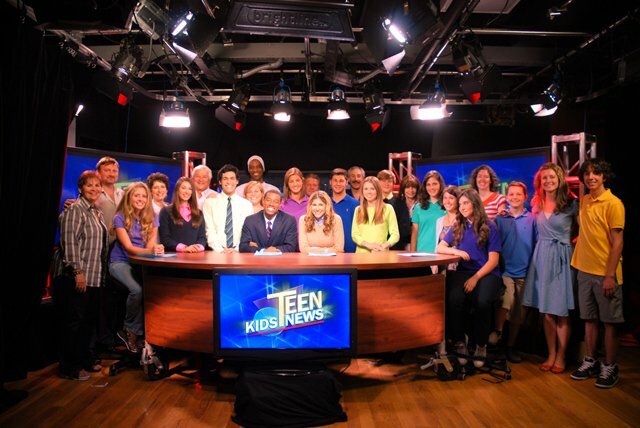 Dumont with the Teen Kids News crew at the New York City studios. 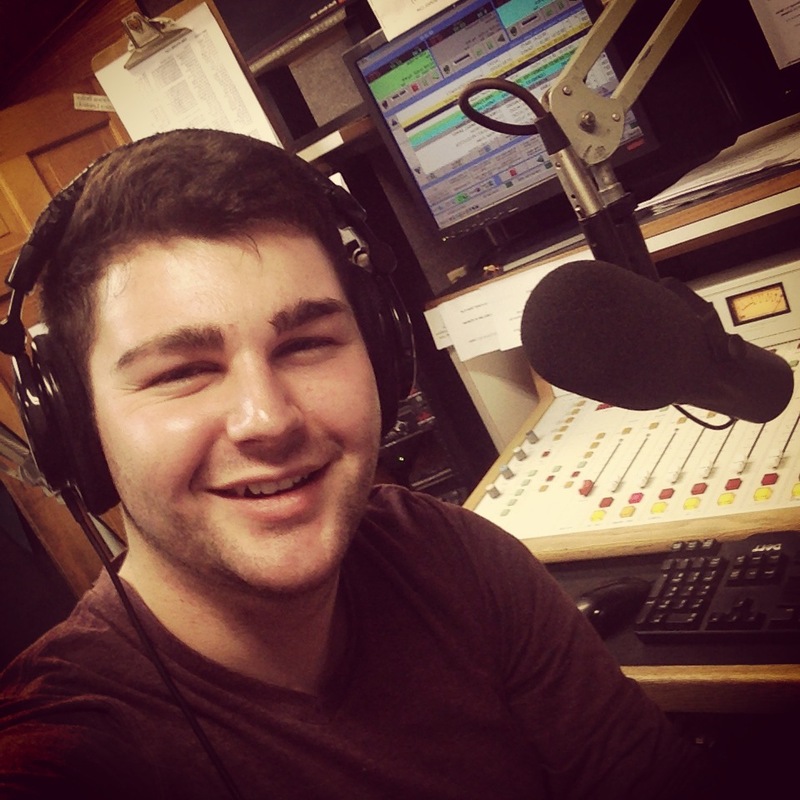 Tyler’s television career was enhanced at Lyndon State College, where he received a Bachelors of Science in Electronic Journalism Arts and was an anchor/reporter/MMJ/producer for their award-winning “News 7” live, nightly newscast. In college, Dumont also interned at WHDH-TV/7 News in Boston and occasionally submitted video as a freelancer for WCAX-TV’s Channel 3 News. Dumont has always tried to have an awareness of where the media industry is headed. With that in mind, he developed skills in other mediums, including print and radio, adding to his ambitions of being a well-rounded, ideal candidate as a modern-day journalist. His love for radio news was recognized as an on-air personality in northern Massachusetts, where he spent time at WCAP-AM, in New Hampshire at WSMN-AM and WFNQ-FM, and in Vermont at WGMT-FM. He was also a freelance writer in high school and college for The Lowell Sun, The Valley Dispatch and The Caledonian-Record. During his tenure as News Editor for the Lyndon State College newspaper The Critic, Dumont received a Mark of Excellence Award from the Society of Professional Journalists for In-Depth Reporting. Dumont currently lives in the Portland, OR area while working full-time as a morning news reporter for Good Day Oregon on KPTV FOX 12 Oregon, the market leader. He joined KPTV after more than 2 years as a general assignment reporter/anchor at WCAX Channel 3 News in Burlington, VT. Before WCAX, he was a multimedia journalist at NH1 News Network where he covered the New Hampshire seacoast. He enjoys traveling to new cities and coastal communities, snowboarding, snowmobiling, strong coffee and volleyball. On weekends, he’s often completing flying hours while he studies to obtain his private pilot certificate.